A national utility construction contractor is currently working on adding additional data lines on the campus of Binghamton University. The project involves running the lines through the ground from one building to the other in order to complete the circuit. To complete this, the company needed to excavate, at least to a minimal depth, throughout a significant length of the ground, which had other utilities already in the area. 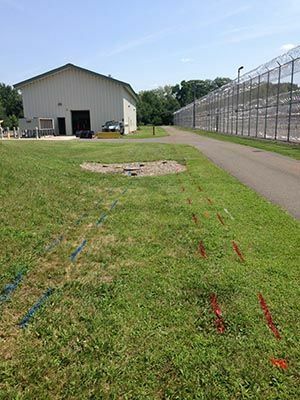 For this reason, prior beginning any excavation on the site they were required to hire a company to complete the utility locating to eliminate the possibility of striking unknown lines. If you have need of any underground imaging services please contact our Upstate New York office, which serves the Buffalo, Rochester, Syracuse, Corning/Elmira, Binghamton and Albany areas, as well as all of the areas in between. If you are interested in obtaining more information or a quote please contact Jim Bell at (315)715-5137 or jim.bell@gprsinc.com.